Aussie writer Daniel Hindes, who for a while has run a niche site called Sneaky Bastards, wants to take the idea of discussing stealth games to a more tangible format. Hence, Sneaky Bastards, the magazine. Promising that the magazine will feature 100% new content (as in, nothing that's been on the site before), the first issue also has a stunning front cover courtesy of British artist AJ Hately, who we've featured here before. 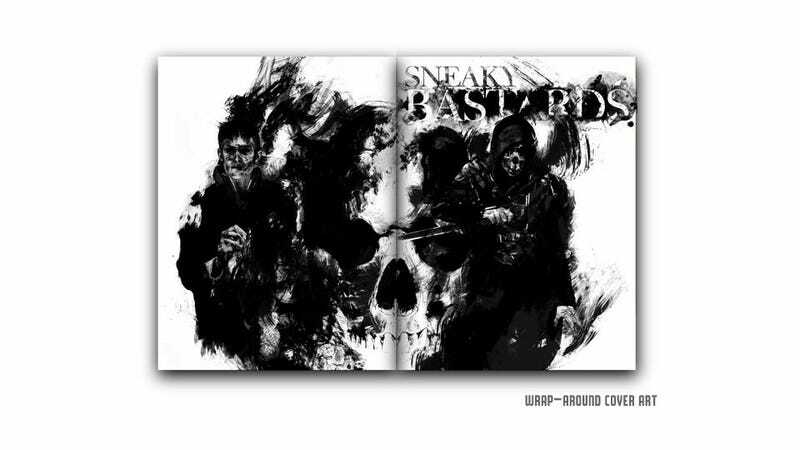 It's hoped that the print run can be a way of "producing more of a substantial, long-form, long-lasting analysis and exploration of stealth gaming in a format that this kind of material is designed to be read and consumed in." You can check out more, and contribute, below. Which you should. The internet is a wonderful place to read about cats and fake trailers, but this kind of in-depth discussion about such a dedicated topic is perfect for dead trees between your fingers.